Fox Valley Autism Treatment Program – meet our therapists. Your child’s autism treatment team is led by our lead therapists who supervise your team, guide the development of your child’s treatment program and meet with you personally several times a year. Meet the Fox Valley Autism Treatment Program licensed treatment supervisors by exploring the links below. Stacie has been working with Fox Valley Autism Treatment Program almost since its inception. She began as a Behavioral Treatment Technician in 1999, as was promoted to Behavioral Treatment Therapist in 2003. She took on her role as Program Director in 2013 and became lead therapist in 2016. As Program Director, Stacie is in charge of many of the day to day operations within the company which ensure that all families receive the highest quality of service. Her goal is to make sure each child we serve has a program designed specifically to meet his or her needs. 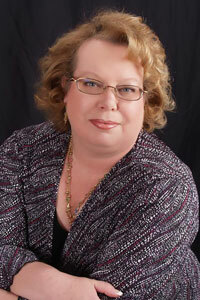 Stacie is an affiliate of the Autism Society of America and the Autism Society of Wisconsin. She regularly attends seminars and workshops to continue her education. Stacie volunteers a great deal of time for the annual Walk4Autism and has been on the committee since it began in 2006. In her free time, Stacie enjoys spending time with her husband, twin sons and daughter. She faithfully cheers on the Green Bay Packers and the Milwaukee Brewers. Stacie devotes much time to learning all she can to improve the lives of the children we serve. Stacie had become an indispensable asset to our program. Dr. Arroyo has worked at Fox Valley Autism Treatment Program since its inception in 1998. She was a Behavioral Treatment Therapist from 1998-2009 when she left to complete her clinical doctoral internship in Pennsylvania, at Children’s Behavioral Health Services. She returned to Fox Valley Autism Treatment Program as a lead therapist in 2010. As a lead therapist, Dr. Arroyo is responsible for overseeing Behavioral Treatment Therapists and Behavioral Treatment Technicians. She is also responsible for home visits, as well as developing and monitoring treatment programs for the children. Dr. Arroyo also managed the first community based residential program specifically designed for adults with autism from 1996-1998. She received a Program Manager of the Year award in 1996 for Outstanding Advocacy for Adults with Developmental Disabilities while working at this residential center. Dr. Arroyo has completed her dissertation on Video Self Modeling to increase play skills in children diagnosed with Autism Spectrum Disorder. Dr. Arroyo graduated with a PhD in Clinical Psychology from Walden University, based in Minneapolis, Minnesota, in 2011. Dr. Arroyo has been a member of the prestigious PSI CHI National Psychology Honor Society from 2005 to the present. She is an affiliate of the Autism Society of America and the Autism Society of Wisconsin. She regularly attends conferences and workshops to continue her education and has completed training in Verbal Behavior Therapy techniques, Asperger’s treatment, Conscious Discipline techniques and others. Dr. Arroyo lives in Green Bay with her husband, cheers for the Packers, and continues to devote most of her time researching evidence-based treatments for children with autism. Katie has been working with Autism and other disabilities since 2003. Katie recognizes each child is an individual and needs an individualized plan. Katie is a published author of a children’s book on grandparent divorce. As a lead therapist, she is responsible for overseeing Behavioral Treatment Therapists and Behavioral Treatment Technicians. She is also responsible for home visits, as well as developing and monitoring treatment programs for our clients. Katie’s dual certification in mental health and behavior analysis helps her to understand more of what each client faces to better treat their needs. Katie enjoys working with challenging cases and finding solutions that work for both the child and the parents. Katie enjoys distance running, kayaking, and biking with her husband and two sons. She continues to pursue education on behavior change procedures related to autism and mental health issues. Katie is a member of the Wisconsin Association for Behavior Analysts and the Wisconsin Counseling Association. Jacob began been working with individuals on the autism spectrum as a Behavioral Treatment Technician in 2001. He graduated from the University of Wisconsin – Oshkosh in 2009 with a B.S. in Psychology. He was promoted to Behavioral Treatment Therapist in 2010. Jacob graduated from Ball State University in 2015 with a Master of Arts in Applied Behavior Analysis. He became a Board Certified Behavior Analyst in 2015 and was promoted to Lead Therapist. As a lead therapist, he is responsible for overseeing Behavioral Treatment Therapists and Behavioral Treatment Technicians. He is also responsible for home visits, as well as developing and monitoring treatment programs for our clients. Jake volunteers for The Miracle League of Fox Valley and is a huge Brewers fan. He lives in De Pere with his wife and daughter. He loves to travel, play music, watch sports and most of all spend time with his family. Ashley started working with the program as a Behavioral Treatment Technician in 2010 and was promoted to Behavioral Treatment Therapist at the beginning of 2013 after receiving her Bachelor of Science in Psychology from the University of Wisconsin-Oshkosh. Ashley also completed minors in neuroscience, criminal justice, and business administration. While attending UWO she was an active member of the Psi Chi, the international psychology honor society, and was part of the board while attending college. She encouraged the Oshkosh chapter to get involved with the annual Walk4Autism in Fox Valley and they are now yearly participants. Ashley continued attending school following her UWO graduation and received her Master’s of Science in Psychology with an applied behavior analysis (ABA) emphasis in September of 2014. Ashley is enthusiastic about her job and loves working with kids. One of Ashley’s moms said “Ashley is a dedicated and caring person who is enthusiastic about her work and never gives up. Ashley is responsible for training our Advanced Treatment Therapists as well as the assistant director of training. Behavioral Treatment Therapists train and supervise the behavior technicians who come into your home to work with your child. The Behavioral Treatment Therapist has at least 2,000 hours of experience working with autistic children and is closely involved with each child and his or her family. Over the years, we’ve found that if you love your treatment therapist, you’ll have a great experience with our program. With the caliber of people we have on our staff, we are confident that you will develop a great relationship with your Behavioral Treatment Therapist, and see him or her as an expert you can trust and rely on. Read about our Behavioral Treatment Therapy team, below. Andrew graduated from UW-Green Bay with a bachelors degree in Psychology and minor in Human Development. During college Andrew began working as a Behavioral Treatment Technician and quickly realized he was meant to work with children. Andrew dedicated himself to making his passion his profession and became a Behavioral Treatment Therapist in 2015. Andrew has been described by families and co-workers as creative, energetic, easy to bond with, knowledgeable, and passionate about providing the best treatment for each child. Outside of work Andrew is a musician and amateur woodworker. He also enjoys spending time with family and friends, and aspires to one day earn a pilot’s license. Mandy became a Behavioral Treatment Technician for Fox Valley Autism Treatment Program in 1999 and was promoted to Behavioral Treatment Therapist in 2001 after graduating from the University of Wisconsin – Green Bay with a B.S. in Human Development and Psychology. Mandy has worked with many children through our program, with all different age ranges and functioning levels. It’s impossible to summarize Mandy’s many great qualities in this small space, so a few adjectives will have to suffice: warm, caring, responsible, dependable, and hard-working. Mandy is described as a very likable person. Emily graduated from the University of Wisconsin-Oshkosh with a Bachelor of Social Work degree and a minor in Psychology. She began as a Behavioral Treatment Technician in 2005 and became a Behavioral Treatment Therapist in 2011. After working with children with autism, she knew she wanted to continue working in this field. Emily has always had a passion to work with children and make a difference in their lives. Emily loves running, watching the Packers, hiking, quilting, and spending time with her family, friends, and dog. Before becoming a Behavioral Treatment Therapist, Emily worked as a Behavioral Treatment Technician for almost eight thousand hours, making one of the most experienced professionals to step into the Behavioral Treatment Therapist role in the history of our program. Cassie graduated from UW-Green Bay with a Bachelor’s degree in Psychology in 2009. She has been working with children on the spectrum since that time and joined the team at Fox Valley Autism Treatment Program in 2013. She has worked with many children of varying ages and abilities and absolutely loves what she does. One family Cassie has worked with has said, “She is very easy to work with, has a calming demeanor, a sense of humor, and at the same time is very professional. Whenever there is an IEP, doctor appointment, or meeting, we rely on Cassie’s insight and knowledge”. Brad has a Bachelor of Science degree from the University of Wisconsin – Oshkosh in Psychology. When he applied for the Behavioral Treatment Therapist job, we didn’t interview anyone else. No one even came close. Brad was born to be a Behavioral Treatment Therapist. He’s been with us since 2010, and has worked with many families. In his free time, he enjoys playing basketball, soccer, softball, and running. He also enjoys the outdoors, especially hunting & fishing and spending time with his family. Emily graduated from UW-Green Bay with a B .S. in Psychology and Human Development . She began as a Behavioral Treatment Technician in 2009 and was promoted to a Behavioral Treatment Therapist position in 201 2. She has always loved kids and enjoys working with all different ages and ability levels. Emily is described as outgoing, energetic, helpful, understanding, friendly, and fun. When she is not working, Emily enjoys hanging out with friends and family. Her main goal in life is to help all children reach their highest potential and become the best they can be! Stefanie holds a Master’s degree in Vocational Rehabilitation, with an emphasis in Rehabilitation Counseling from the University of Wisconsin – Stout and a Bachelor of Science degree in Human Development, with a minor in Psychology from the University of Wisconsin – Green Bay. She joined our program as a Behavioral Treatment Technician in 2001 and was promoted to Behavioral Treatment Therapist in 2004. She is known for consistently going above and beyond what her families expect, and they credit her for the enormous gains their children have made. Her knowledge of vocational skills and transition helps her identify important skills that can be worked on as a child ages that will help them to be better prepared to work and live as independently as possible in the future. Stefanie lives in Kaukauna with her husband, son Rylan, and their Chinese Shar Pei, Lola. She enjoys playing soccer and volleyball, going for walks, watching the Packers, and spending time with family and friends. Ashley graduated from UW-Oshkosh with a Bachelors of Science Degree in Psychology. She has been with us since 2010 and was promoted to a Behavioral Treatment Therapist position in 2012. Ashley has worked successfully with toddlers and teenagers and every age in between. People who have worked with Ashley have described her as flexible, creative, professional, enthusiastic, resourceful, dependable, and hard-working, and one mom said: “we can’t express in words how we feel about Ashley…she does an amazing job”. Outside of work, Ashley enjoys reading, camping, cheering for the Packers, and dance, especially jazz and hip-hop and spending time with her family. Bonnie graduated from University of Wisconsin – Oshkosh in 2008 with a Bachelor of Arts degree in Psychology. She began her career with Fox Valley Autism Treatment Program as a Behavioral Treatment Technician in 2004, and became a Behavioral Treatment Therapist in 2009. She has been promoted to be a trainer, supervisor, and mentor to new Behavioral Treatment Therapists faster than any other staff member in the history of our program. Bonnie has worked with many kids and has experience with a wide range of children on the autism spectrum. She enjoys working with children and their families, and absolutely loves going to work every day. Bonnie enjoys spending time with her husband, children, and their two dogs. Heidi Jo graduated from the University of Wisconsin – Oshkosh with a B.S. in Elementary Education and Special Education in 2010 and is a certified teacher. She’s worked with our program since 2008 and was promoted to a Behavioral Treatment Therapist position in 2011. Heidi Jo has worked with many children in our program and countless children throughout her time in school. Heidi Jo brings a great deal of energy, enthusiasm, and creativity to her work. She is never hesitant to set high goals for her clients. When it comes to setting goals to work on, the word “incapable” is not in her vocabulary. Heidi Jo comes from a large family and one of her brothers has a significant disability. He has influenced her in so many ways and inspired her to choose this profession. Heidi Jo is married and enjoys spending time with her family, snowmobiling and photography. She also likes reading, baking & arts and crafts with her children. Heidi is a graduate of St. Norbert College with a Bachelor of Arts in Psychology. She joined our team in 2012 and became a Behavioral Treatment Therapist in 2016. Families describe her as being reliable, energetic and creative. In her free time, Heidi enjoys scuba diving, participating in triathlons, facilitating a special needs soccer program, and taking on DIY projects. Her main career objective is to provide clients with the tools they need to overcome obstacles and allow them to find their full potential. Dana earned her Bachelor’s degree from St. Norbert College in 2001, with a dual major in Psychology and Sociology, and with a human services emphasis. She has worked as a Behavioral Treatment Therapist with the program since 2001 after working as a Behavioral Treatment Technician for two years. Dana has worked with dozens of children between the ages of two and sixteen, all with a wide range of needs. She also has experience providing respite for children as well as adults with disabilities. Families often comment on Dana’s warm and compassionate personality, her dependability and the extraordinary level of patience she has when working with special needs children. Dana enjoys furthering her education through independent research in the areas of brain development, anxiety and coping, skills as well as the latest behavior intervention strategies in the field of Autism. She enjoys life with her husband and daughters and their interests include reading together, singing and dancing, movie nights, and neighborhood walks. Jessica received her Bachelors Degree from UW-Green Bay, and she has been working with children since 2006. She did her internship through Fox Valley Autism Treatment Program and found that this is the type of work that she was meant to do. She has worked with children ages 3 thru teenagers, with a wide variety of ability levels, and feels that each child has touched her life in a meaningful and positive way. Jessica rose through the ranks to become a Behavioral Treatment Therapist in record time due to her creativity and enthusiasm as well as the kindness and dedication she shows to each and every one of her families. In her free time, she enjoys scrapbooking, reading, running, and spending time with her husband and children. Dani has a B.S. in psychology from the University of Wisconsin – Green Bay. She’s worked with children with autism since 1997 as a Behavioral Treatment Technician and has been a Behavioral Treatment Therapist since 1999. Dani has training and experience with various approaches to autism treatment and enjoys incorporating numerous techniques into an individualized plan for each client. She has worked with many children and their families over the years. Dani has received more “word-of-mouth” referrals than any other Behavioral Treatment Therapist – the best compliment any professional can get! She loves her career and in her free time, enjoys spending time with family and friends as well as painting abstract paintings full of texture and color. Nicole received her Bachelor’s Degree from University of Wisconsin-Milwaukee. She enjoys working with children with all levels of functioning, abilities, and ages. She believes in the importance of treating each child as an individual and in maximizing their independence. Some of the many positive comments we have received about Nicole include “our kids really respond well to her style of therapy”, “her ability to be flexible is unique and makes every session successful”, and “Nicole always comes to our house positive and pleasant, and takes on whatever the day brings with a smile!”. Nicole spends her leisure time running, playing volleyball, and interacting with her family. Wayne started with us in 2001 and worked full time as a Behavioral Treatment Technician while earning his B.S. from University of Wisconsin – Green Bay. Wayne became a Behavioral Treatment Therapist in 2005 and has since overseen and managed the treatment of many children. Wayne is always working to continue his education and grow as a therapist, through seminars, conferences and specific classes. On a recent evaluation, one of Wayne’s moms wrote, “Wayne has exceeded my expectations as a Behavioral Treatment Therapist. He has been a blessing to our family.” Wayne enjoys spending time with his wife and children. Ceara has a B.A. 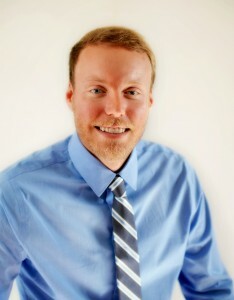 in Psychology from University of Wisconsin – Oshkosh and has worked in our program since 2007. She was promoted to Behavioral Treatment Therapist in 2010. Ceara has been described as well organized, caring, responsible, and a tremendous advocate for children and their families. She says that she absolutely loves her job and can’t imagine doing anything else. Ceara enjoys spending time with her husband and children. Sharon received her Bachelor of Science in Human Development from the University of Wisconsin – Green Bay. She joined us as a Behavioral Treatment Technician in 2001 and began her career as a Behavioral Treatment Therapist in 2005. Sharon’s families describe her as flexible, creative, outgoing, helpful, energetic, and truly committed to each and every one of the kids she works with. Sharon spends her free time playing with her husband and children, walking her dog, camping, playing volleyball, reading and spending time with family and friends. She also participates in awareness walks for autism, breast cancer and diabetes, as all of which are important issues in her life. Anna earned a B.A. from the University of Wisconsin – Oshkosh in 2006 and while employed as a Behavioral Treatment Technician during her last year in college she found her niche working with children with Autism and continued to develop a passion for working in the autism community. Anna has been with us since 2005 and was promoted to Behavioral Treatment Therapist in 2009. Her families describe her as patient, helpful, flexible, knowledgeable, concerned, dedicated and hard working. Anna is married and has three children. She has many interests including art, music, sewing, running and animals. Alyssa began working for the Fox Valley Autism Treatment Program in 2010 while she was a freshman at the University of Wisconsin-Green Bay. Shortly after working with the program she discovered her passion for helping children with special needs and she began working towards becoming a Behavioral Treatment Therapist. Alyssa graduated in 2012 with a Bachelors in Science degrees in Psychology and Human Development. She began working as a Behavioral Treatment Therapist in 2013. Alyssa has been described as flexible, creative, hard-working, dependable and compassionate. Her best quality is her attitude that every child has the ability to learn and that the key to successful treatment is finding the unique way a child learns best. In her free time, Alyssa enjoys spending time with her husband and children as well as playing volleyball. Carlos became a Behavioral Treatment Technician for Fox Valley Autism Treatment Program in 2010 and was promoted to Behavioral Treatment Therapist in 2012 after graduating from the University of Wisconsin-Oshkosh with a degree in Special Education. Carlos is a licensed teacher. Carlos took the Behavioral Treatment Therapist position over a teaching job because he feels that one on one therapy has a big impact on children and wanted to be part of a great team. He has worked with many children through our program as well as the Easter Seals Respite Camp, with all different age ranges and functioning levels. At UW-Oshkosh, Carlos played football for three years playing center. In Carlos’ free time he enjoys watching and playing sports, visiting family in Milwaukee, lifting weights and occasionally helping coaching football as well as spending time with his wife and son. Families have described Carlos as a creative, helpful, compassionate, respectable, and friendly. Ashleigh graduated in 2012 from the University of Wisconsin – Oshkosh with a Bachelor’s degree in Psychology and a minor in Sociology. She became a Behavioral Treatment Technician in 2010 and was promoted to Behavioral Treatment Therapist in 2014. Ashleigh always knew she wanted to work with children in some capacity, but her experiences as a Behavioral Treatment Technician were awe-inspiring and she was hooked. Her passion has become helping each child she works with to reach his or her potential. It is a resounding theme from her families that Ashleigh has a compassionate nature and a true drive to help each child. In her free time, she enjoys the outdoors, photography, and spending time with her children. Katie graduated from the University Wisconsin-Milwaukee in 2008 with a Bachelor of Science degree in Communication Sciences and Disorders. She began working with Fox Valley Autism Treatment Program as a Behavioral Treatment Technician in 2012, and began her career as a Behavioral Treatment Therapist in 2014. While Katie’s degree is in Speech and Language Pathology, she decided to continue her education specializing in all areas of Special Education, particularly autism. Katie has had several years of experience in multiple settings working primarily with children 2 to 14 years of age. Outside of work, Katie enjoys spending time with husband and children, especially at her family’s cabin on Lake Noquebay, watching and playing sports, and cooking. Kristie earned a Bachelor of Science degree in Psychology and Sociology from St. Norbert College in 2011. She began working as a Behavioral Treatment Technician shortly after graduation and was promoted to a Behavioral Treatment Therapist position in 2014. Families have described her as prompt, organized, and passionate about each child. Outside of work Kristie enjoys golfing, soccer, running, and cheering on the Packers and Brewers. Most importantly she loves spending time with her husband and children. Amanda graduated from University of Wisconsin-Oshkosh with a Bachelor of Science degree in Psychology and a minor in Communications. She began working as a Behavioral Treatment Technician in 2010 and was promoted to Behavioral Treatment Therapist because of her devotion to the children in the program. She has always aspired to have a career working with children and helping them grow as individuals. Amanda has worked with clients of all ages and levels of functioning. She is a caring, energetic, and easy going person. In sessions, she is able to find a fun and creative way to do activities while meeting the child’s goals. Outside of work Amanda enjoys going up north, fishing and hunting, taking hikes with her husband and daughter, and most importantly spending time with her family and friends. Kayla graduated from the University of Wisconsin – Green Bay in 2014 with a Bachelors degree in Psychology. She began as a Behavioral Treatment Technician in November of 2009 and has learned something new every day since. She has always known she wanted to work with children and after her first few months as a Behavioral Treatment Technician she knew she wanted to continue working with children with autism and continue to learn from them for many more years. In her spare time, she likes doing outdoor activities, spending time with family and friends and volunteering for Big Brothers Big Sisters. Nicole graduated from the University of Wisconsin – Green Bay with a degree in Human Biology. Nicole joined our team in 2010 in search of a rewarding career. Soon after she was hired she not only found a rewarding career, but also her passion for helping children with special needs. Nicole advanced to her current role of Behavioral Treatment Therapist in 2016, driven by her ambition and eagerness to develop her professional skill set. Families have described her as flexible, dependable, creative and a great asset to their child’s therapy team. Nicole is compassionate for helping others as portrayed by her engaging interaction with clients, and her ability to tailor therapy to each specific client. Outside of work Nicole enjoys running, crafting, and volunteering with Big Brothers Big Sisters. Katie graduated from the University of Wisconsin-Eau Claire in 2008 with a Bachelor of Science and from Saint Joseph’s University with a Masters Degree in Behavior Analysis in 2015. Katie began working with Fox Valley Autism as a Behavioral Treatment Technician in 2015, but previously worked with three other providers within the state since 2005. She has worked with clients from ages 2-22, with all functioning levels, and was promoted to Behavioral Treatment Therapist in 2017. Katie has also worked with special needs children and adults as a camp counselor for Easter Seals Camp Respite and Wawbeek, as well as an adult group home. Katie was led to this particular field due to her aunt being on the Autism Spectrum, and she has always wanted to teach children. She truly enjoys her job and is extremely passionate about her kiddos and families that she works with. She learns and is rewarded by something new each and every day! Katie loves being with her husband and son in her free time. She enjoys running, shopping for deals, spending time with family and friends, going up north, reading, and drinking coffee. Kaitlee graduated from The University of Wisconsin-Green Bay with a Bachelors Degree in Psychology and a minor in Human Development. She was hired as a Behavioral Treatment Technician in 2013 when she realized her passion for working with children. She has been feeding that passion ever since. Kaitlee was promoted to her current role as Behavioral Treatment Therapist in 2017. She has been described as being dedicated, well organized, genuine, and personable. In her free time, Kaitlee enjoys traveling, hiking, and camping with her husband. Eric graduated college from the University of Wisconsin-Oshkosh in 2012 with a Bachelor of Arts degree in Psychology. Throughout his time at the University of Oshkosh and for a short time after; Eric worked in a daycare as an assistant teacher in a 4 year old and 4k room. Upon the recommendation of a coworker to explore working with children with autism, Eric applied for a job with Fox Valley Autism Treatment Program in 2012. After a short time working as a Behavioral Treatment Technician, Eric knew he wanted to pursue the opportunity full time. Eric was promoted to Behavioral Treatment Therapist in 2017 after five years as a Behavioral Treatment Technician for children of all ages and functioning levels. Families have described Eric as creative, caring, understanding, and hard working. In his free time Eric enjoys spending time with his girlfriend, friends, and family, watching sports and listening to podcasts. Allison graduated from UW-Green Bay in December of 2016 with a Bachelor of Science degree in Psychology and Human Development. She began working as a Behavioral Treatment Technician in March of 2014 and quickly knew that she wanted to pursue this field as a long term career career. She was promoted to Behavioral Treatment Therapist in January of 2018. Families and co-workers have described Allison as determined and hard-working. She clearly cares for all of the kids she works with, and makes learning fun. She is extremely dedicated to helping all the families she works with on a daily basis and tries to find unique ways to teach each individual. In her free time Allison enjoys playing sports with her fiancé, biking with her Siberian Husky, decorating her home, and watching shows on Netflix. Advanced Behavioral Technicians have more than 2000 hours of experience as well as a bachelors degree in a related field. They work closely with families to provide therapy and also have professional training to develop treatment programs.